Valentine's Day is only 1 week away, a celebration of romantic love, an event in most lives evne if you don't celebrate it. My wife likes to make adventures for events such as Christmas, Halloween, and such. Therefore she came up with an adventure for Valentine's Day, an adventure I've written and called Valentine Love Adventure, which you can find on DMsguild. My wife started talking about creating a one-on-one D&D 5e adventure based on Valentine's Day. It would have dragons in love where one of the dragons were captured and brought into a dungeon. The party would have to venture into the dungeon to save the dragon. The adventure would then end with the two dragons reuniting in love, one of them would propose, and there would be a dragon wedding with unicorns and glitter and all that stuff. I took the idea and wrote an actual adventure. The beginning and end of the adventure is based exactly on how my wife described it (I forgot the glitter though), and then I simply created a dungeon where the party could go and save the dragon. D&D is not specifically a one-on-one game, and I therefore created two versions, one where the DM could play with one other person, and one where couples could play together. The adventure had to be short as it's meant to be played on Valentine's Day, and people may want to do other things than spend all day playing D&D. I therefore tried to create an adventure that should only take 1-4 hours to play through. Since the game is also intended as an introductory game for new players (your spouse may want to allow you to introduce him/her to D&D on Valentine's Day as a treat), then the game should also be easy to get into, which is why it's been designed for 1st level characters. I created a goblin cave with a variety of chambers. I reduced the amount of goblins by having them fight another goblin tribe prior to the adventure and having taken losses from capturing the fairy dragon. I added a choice in the dungeon in the form of several passages, meaning that the party would only need to go through 3 of the 4 encounters to complete the adventure. Each of the 3 encounters would have a Valentine aspect (also the name of the goblin boss) in the form of flowers, gifts, and chocolates. I added "Valentine Special" sections to help DMs remember to purchase real flowers, gifts, and chocolates that they can then hand out during the 1-4 hour gaming session to make the day more romantic. 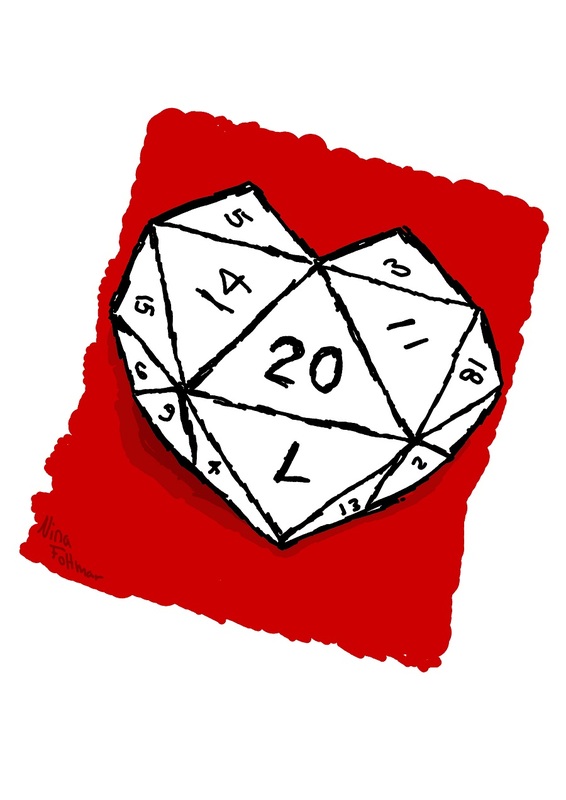 The point of the adventure was to create a D&D adventure with a Valentine's Day theme. It is meant to be used between loved ones and to add romance on a day of love. The point is that the adventure can be used to introduce D&D to new players, or to add some romance to a one-on-one game between two TRPG players. The end can even be modified so that the DM says romantic things specifically to the player. Hopefully, this adventure will show the community that D&D can be used for a large variety of things, including as a Valentine's Day event.